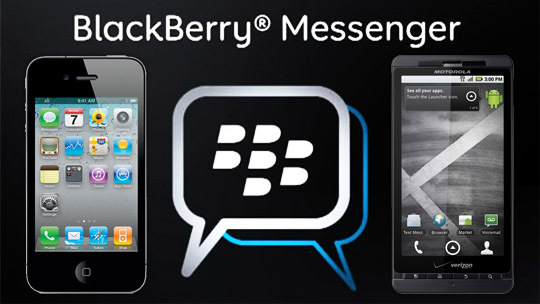 According to a report from Mashable, BlackBerry was purchased by a financial holdings firm for $4.7 billion. The deal was announced on Monday by both the struggling mobile company and the Toronto-based Fairfax Financial Holdings. BlackBerry was worth over $100 billion dollars back in 2007. BlackBerry reportedly lost about $1 billion in the second quarter of 2013 and as cutting 4,500 jobs — about 35% of its workforce. The holdings group acquired BlackBerry for only $9 per share. BlackBerry has finally given a statement on the status of the BBM rollout for users on Android and iOS, and it looks like things are on hold for the time being. BlackBerry is saying the leaked versions people were using have caused “issues” and that they are hard at work to get things back on track. ouchh…… what issues can a leaked app cause? BlackBerry will remain an enterprise favorite and remain popular in corporate-liable situations (where the company provides handset to users). The reliability, physical keyboard (which many still prefer) of the mainstream BlackBerry products, and the server-side capabilities will remain features of this line for some time, and we assume that the folks at Research in Motion will continue to upgrade their offerings. Many consumers like the BlackBerry as well, even if the products do lack the flash (pun intended in Apple’s case!) and coolness of the competition. Apple’s iPhone product line redefined the handset, bringing the caché of the Mac to this class of products. Apple has also become increasingly sensitive to the needs of enterprise users, no mean feat for a product that began life as essentially the marriage of an iPod and a cell phone. But even as it promises improved reliability and freedom from viruses and such, the closed-system nature of the iPhone irks some users, and leaves the door open here for the competition. Android recently became the most popular handset OS, and for good reason: it’s based on Linux, it’s open source, and it’s non-proprietary and very inexpensive (cost is a key factor in the success of handsets, which have a very short shelf life). It also offers many of the benefits of the iPhone; the two systems become more alike all the time. And there are many, many Android-based handsets to choose from. 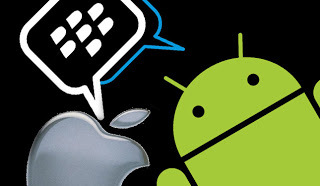 So BlackBerry will be the corporate favorite, and iPhone and Android will battle it out for top honors in the consumer space. Note all of these can handle corporate apps with no problem, and all belong on a short list for that next handset purchase.